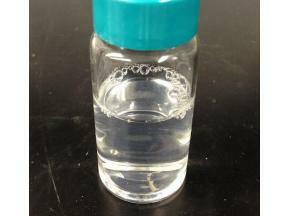 This report studies the N-Isopropyl Acrylamide market status and outlook of global and major regions, from angles of manufacturers, regions, product types and end industries; this report analyzes the top manufacturers in global and major regions, and splits the N-Isopropyl Acrylamide market by product type and applications/end industries. In global market, the production of N-Isopropyl Acrylamide increases from 6642 Kg in 2012 to 7661 Kg in 2016, at a CAGR of 2.41%. In 2016, the global N-Isopropyl Acrylamide market is led by Japan, capturing about 71.41% of global N-Isopropyl Acrylamide production. Europe is the second-largest region-wise market with 17.37% global production share. The Global N-Isopropyl Acrylamide Industry 2017 Market Research Report is a professional and in-depth study on the current state of the N-Isopropyl Acrylamide industry. Firstly, the report provides a basic overview of the industry including definitions, classifications, applications and industry chain structure. The N-Isopropyl Acrylamide market analysis is provided for the international market including competitive landscape analysis, and major regions’development status.